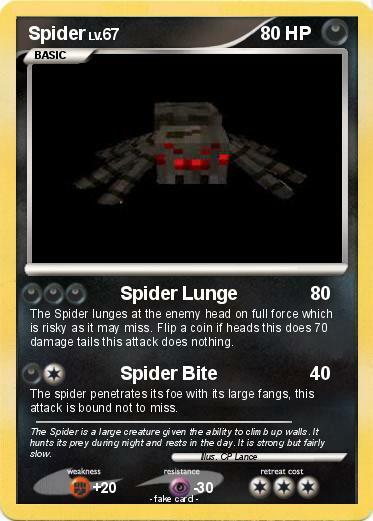 The Spider lunges at the enemy head on full force which is risky as it may miss. Flip a coin if heads this does 70 damage tails this attack does nothing. The spider penetrates its foe with its large fangs, this attack is bound not to miss. Comments : The Spider is a large creature given the ability to climb up walls. It hunts its prey during night and rests in the day. It is strong but fairly slow.